One of the most common problems you can run into in your kitchen is kitchen faucet problems. How they start is often a mystery, but there are ways to fix what’s happening so you can return to what matters most – creating beautiful food. Occasionally, when something breaks or is not working right with your kitchen faucet, it’s easy to blame the manufacturer. While this could be true, often it is not. Kitchen faucets in NJ work just like everywhere else and it’s important to identify the source of the problem so a proper repair can be made. 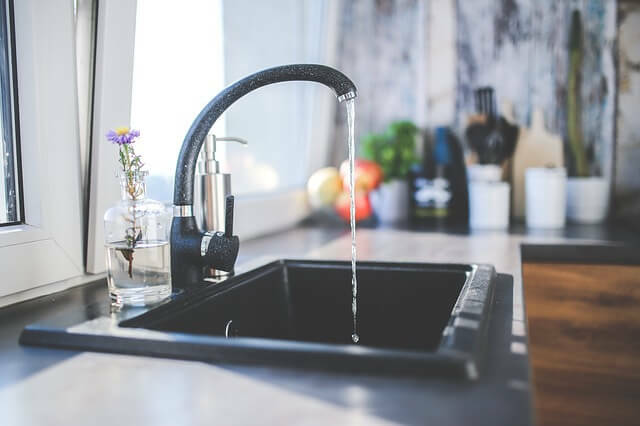 Take a look at these four most common kitchen faucet problems and see if there is a solution here for you. Dripping and water leaking around the counter where the faucet is attached are very common problems. There are a number of reasons why this is so. If your kitchen faucet was installed in the era of black-and-white television, it might be so old that nothing will fix it except a brand new faucet. Often, however, this isn’t the case. People with brand new kitchen faucets also complain that leaks have sprung up out of nowhere. Leaks come in all forms. You might have one of those annoying drips that just never stops. Or the faucet is always wet around the base of the spout. Or perhaps water just leaks out of a place where it shouldn’t be coming from. Before heading to the industrial plumbing supply, there are a few things you might want to check out first. Most leaks coming out of your kitchen faucet are due to one of two things. Depending on what type of leak you have, you might need to replace the O-rings as these don’t last as long as your faucet. Alternatively, there is likely to be another internal part that has worn out and is causing the leak. Hopefully you will have retained the manual that came with your faucet. It’s a good idea to refer to that. Usually, leaks are fixable by getting a replacement part at the commercial plumbing supplies store. As an industrial plumbing supply company, this is one of the most common faucet problems we come across. People love DIY; that is, taking on an installation or a home project. Unfortunately, they often turn ugly and quickly. Who needs that endless installation guide anyway, when you can just dive right in and put the thing together? Right? If you are familiar with what you’re doing, fine, but if you are not, it’s easy to miss a step or make a mistake. When installing something like a kitchen faucet, take your time. Make sure you have time to do the job correctly. Beforehand, make sure you have all of the necessary tools that are required for installing your new faucet. If you really are stumped about something, try turning to the internet where you can find helpful videos which show you exactly how to install a kitchen faucet. The right way. If the water pressure suddenly drops, you could be looking at a build-up of mineral deposits inside the kitchen faucet. Today’s faucets can often be taken apart to enable you to see what is happening on the inside. You can clean areas where lime-scale has built up. Often, this is a result of living in a hard water area. You might want to make this one of your monthly or bi-monthly home maintenance tasks. Of course, loss of water pressure might be pointing to a more serious problem that has to do with the way water is coming into your house. Usually, this type of problem isn’t confined to just one faucet. If water pressure drops throughout your home, it’s a good idea to call in a plumber. Depending on what type of water you have (city or well), there might be faucet problems that only a professional will know how to fix. Kitchen faucets, just like everything else, wear out over time. They may begin to peel or look dull and shabby. If you find that rust is building up, there’s a good chance that rust is also building up on the inside and it’s time to replace your kitchen faucet. Other things that can go wrong are that spray heads may no longer work right and you may experience trouble moving the levers. These may be loose or actually come off. Don’t try to get a replacement part when this happens; it’s easier and more cost-efficient for you to invest in a nice new kitchen faucet. It’s great when things just work. When you have faucet problems, it can be inconvenient and worrying. You’re not alone, though, and with a little know-how and the right supplies, you can quickly get back to using your kitchen as it was intended.